Motor yacht FIREFLY is a 23.20m (76' 1") charter yacht built by Pershing in 2006. 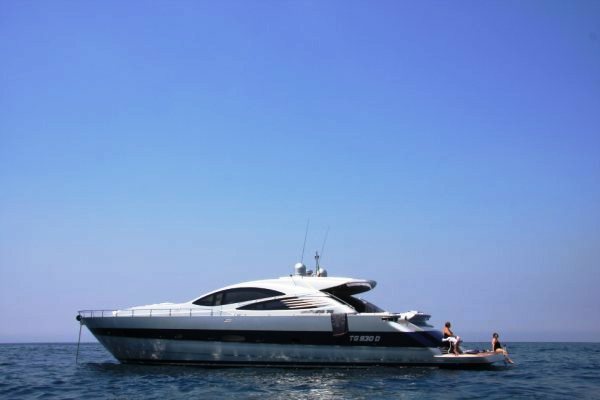 The luxury yacht is based in Torre del Greco Near Naples and is available for yacht charters throughout Italy and the Western Mediterranean. She has a striking silver hull with a deep blue stripe that is sure to turn heads wherever she cruises. 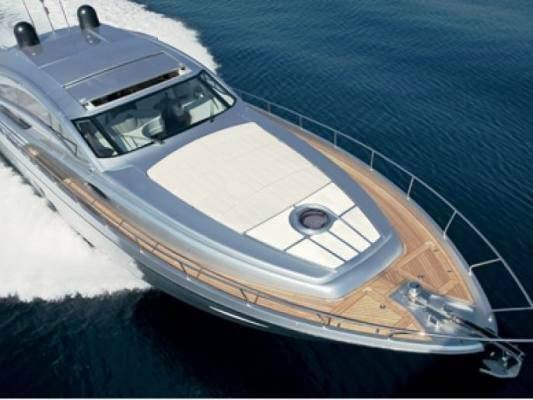 Motor yacht FIREFLY has a very impressive cruising speed of 38 knots with a top speed of an incredible 50 knots! 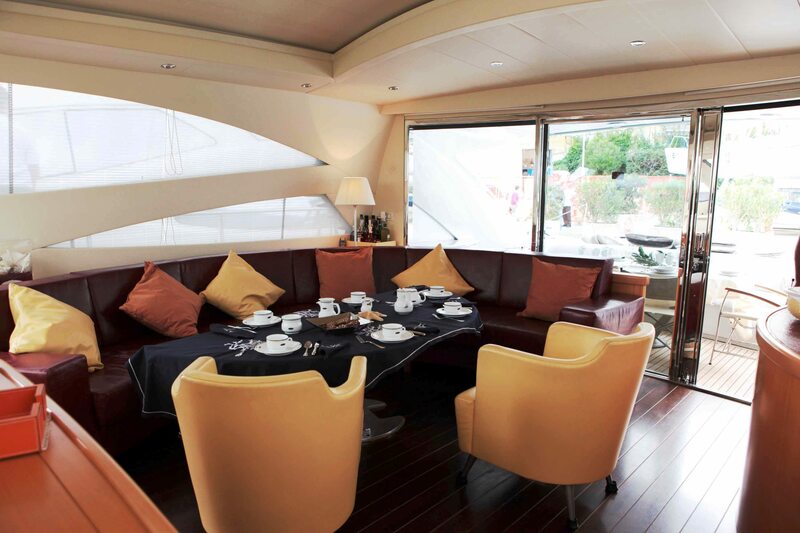 The Pershing motor yacht FIRE FLY has a salon on the main deck that is elegantly furnished with a u shaped Amaranth sofa and two ochre coloured Frau leather armchairs. 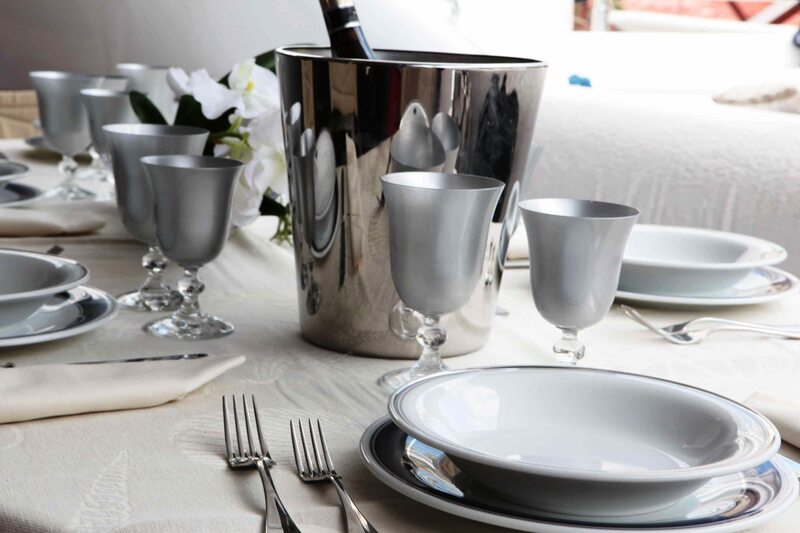 There is a convertible table to accommodate eight guests dining comfortably. The salon has a retractable Plasma TV screen and Dolby Surround, Sky and DVD. 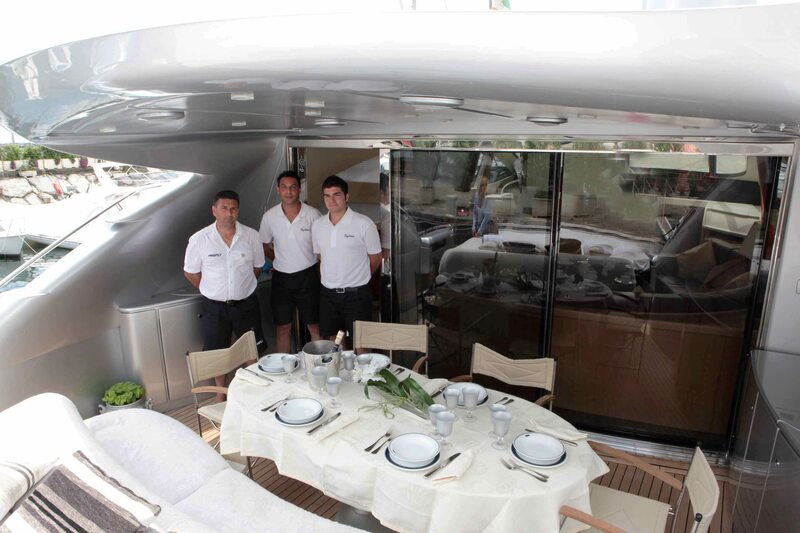 Motor yacht FIREFLY is also features fine dining settings and glass wear to complete the luxury experience. 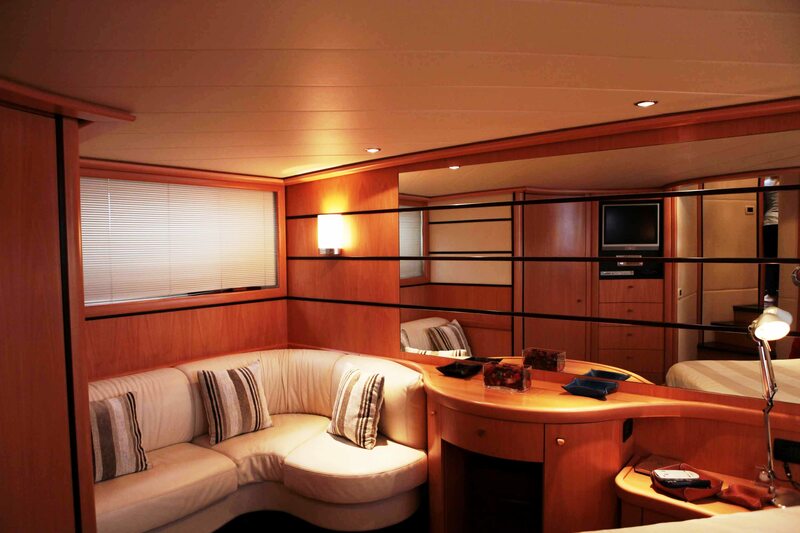 Pershing Motor yacht FIREFLY is able to accommodate up to 8 guests in 4 cabins. 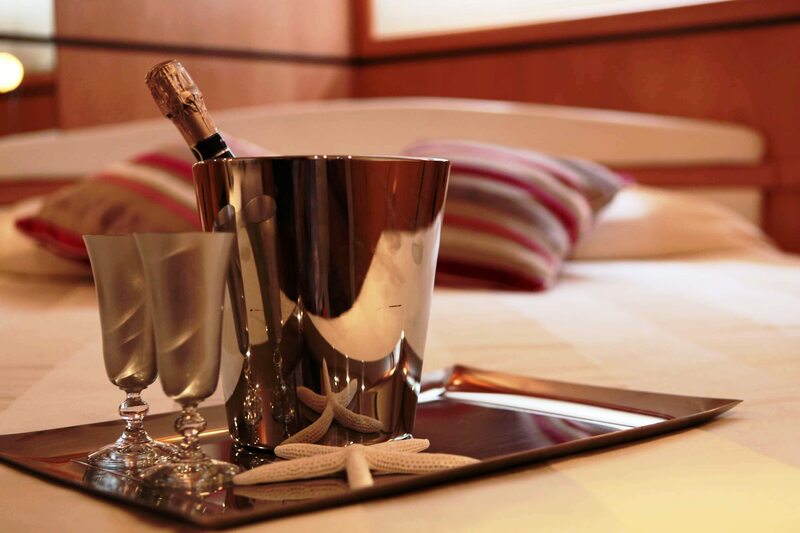 Her master stateroom has king size bed and the cabin is tastefully decorated with cherry wood furniture, cabinets, drawers, fridge, bar, and a lovely sofa, ensuite bathroom with shower. There is also a Plasma TV, stereo, DVD, Sky, air conditioning, safe and fridge. 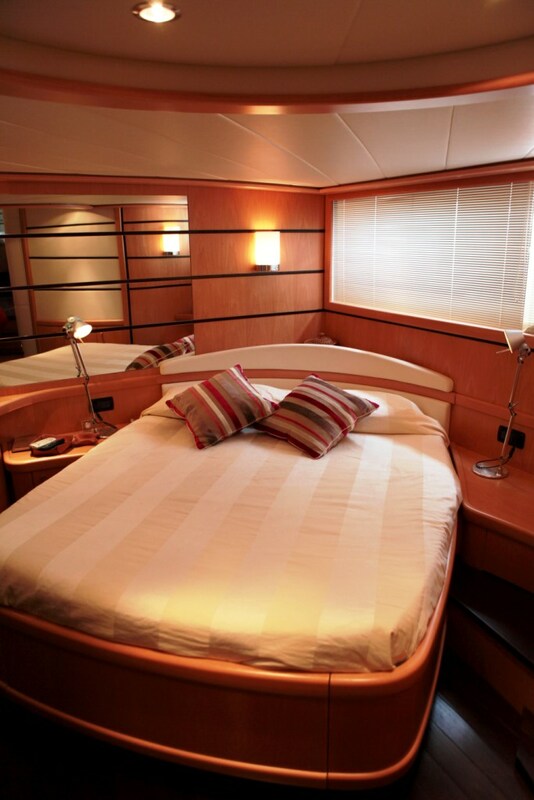 The VIP cabin offers a double bed, cherry furniture and a bathroom ensuite, TV, DVD, Sky stereo, air conditioning. The third guest cabin has lower twin beds, cherry wood furniture, bathroom with shower, TV stereo, DVD, Sky, air conditioning. 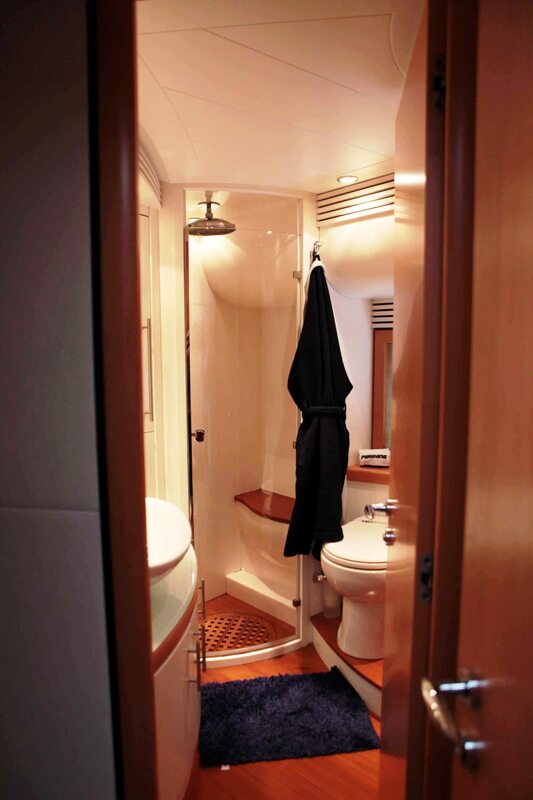 The fourth cabin has two bunk beds in an L shape, cherry furniture, and bathroom with shower with access from both inside the cabin from the corridor, TV, air conditioning. Outside, motor yacht FIREFLY offers and al fresco dining table on the aft deck along with some sun pads and a large swim platform where you can dive into the refreshing Mediterranean Sea or enjoy some water sports. 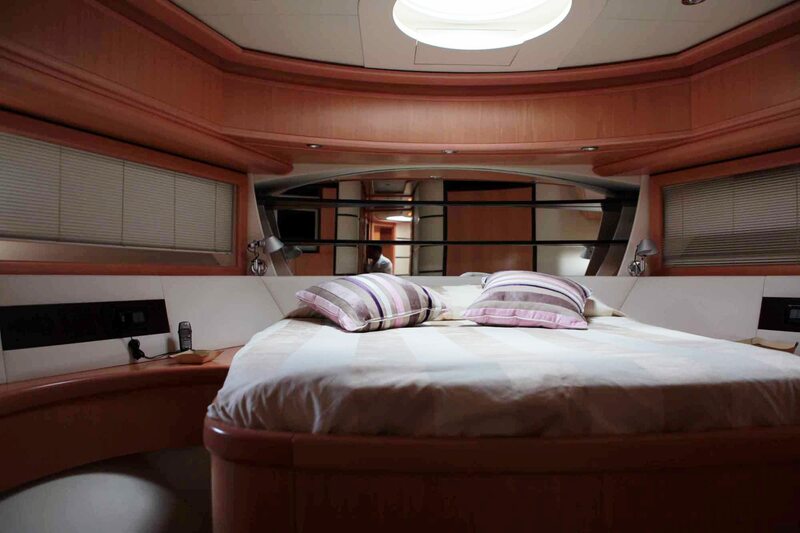 There is also a large sun pad forward of the yacht. Motor yacht FIREFLY has twin 2000 hp MTU engines enabling her to attain incredible speeds between 38-50 knots. At this speed you will be able to get to your next destination in no time at all. She has a professional crew of 3. 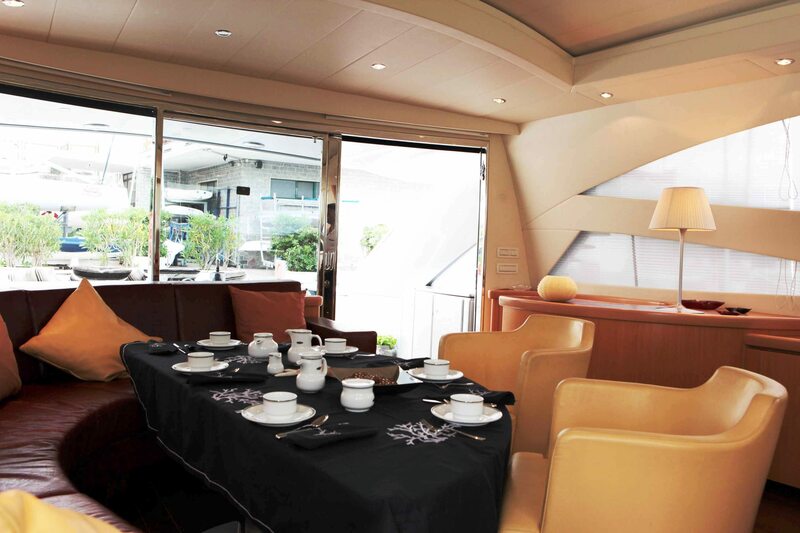 Pershing Motor yacht FIREFLY is able to accommodate up to 8 guests in 4 cabins. Her master stateroom has king size bed and the cabin is tastefully decorated with cherry wood furniture, cabinets, drawers, fridge, bar, and a lovely sofa, ensuite bathroom with shower. There is also a Plasma TV, stereo, DVD, Sky, air conditioning, safe and fridge. 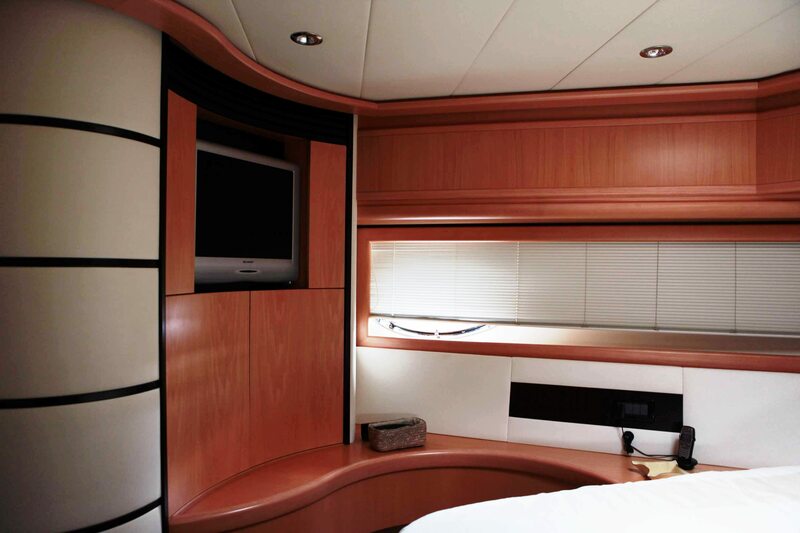 The VIP cabin offers a double bed, cherry furniture and a bathroom ensuite, TV, DVD, Sky stereo, air conditioning. The third guest cabin has lower twin beds, cherry wood furniture, bathroom with shower, TV stereo, DVD, Sky, air conditioning. 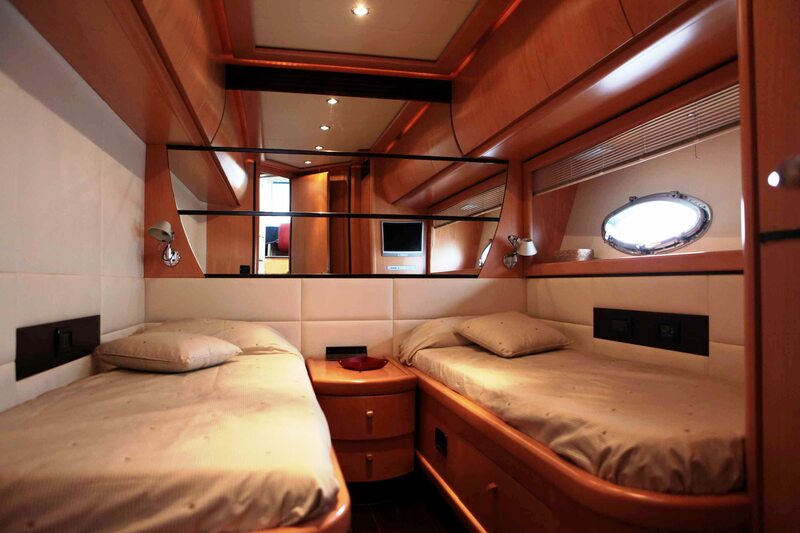 The fourth cabin has two bunk beds in an L shape, cherry furniture, bathroom with shower with access from both inside the cabin from the corridor, tv, air conditioning. Motor yacht FIREFLY has the following extras onboard: Tenders & Toys include a Zodiac dinghy of 3.50 meters to jet engine Yamaka, water skiing, jet Yamaka 1300 A two-seater, Ecoscandaglio, Radar gps, gps map on-board computer, autopilot , audio system in the cockpit shower two generators, hot and cold outdoor shower. 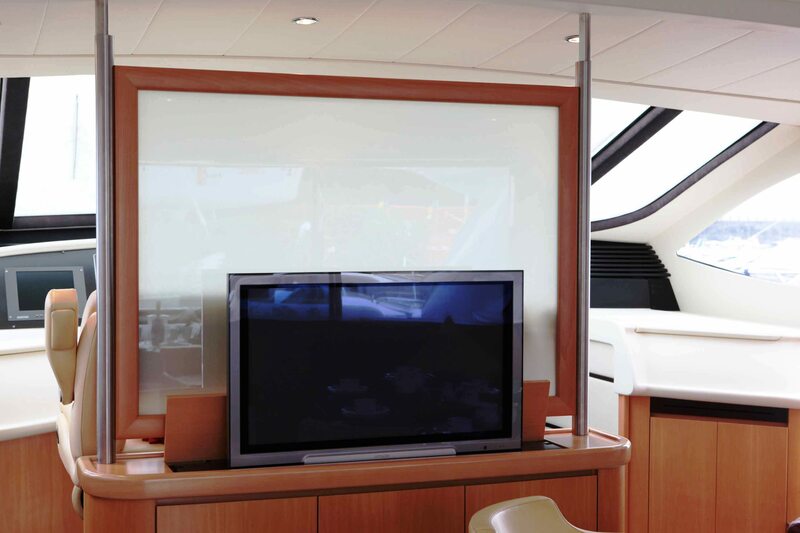 Audio Visual Equipment and Deck Facilities include a tv Plasma- dvd- cd stereo -sky connection.